When Mark Ryder’s latest mission turns into a bloodbath, he’ll find himself alone on the shores of an alien moon hunted by insects the size of skyscrapers. Now, if he wants to get off this rock alive, he’ll have to cut a bloody swathe through the bug queen’s elite army, rendezvous with the all-female Artemis squad, and blow the whole thing to Kingdom Come without getting killed. Available Now on Amazon US, Amazon UK, Barnes & Noble and audible! More Bugs. More Bloodshed. More Babes. Mark Ryder is done taking any more crap. Thrown into a mission to end the war with the bugs once and for all, he’ll soon discover that the worst enemy isn’t the bugs. 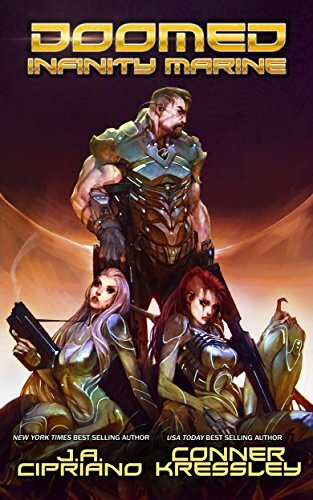 Now, with his ladies in danger, the Alliance sabotaging his efforts, and an endless army of aliens out for his blood, Mark is going to do what he does best: kill all the bugs, save the squad, and complete his mission. Even if he has to destroy the Alliance to do it.